L.L. Bean sells longitude and latitude personalized signs that we have taken to ordering to commemorate our travels. We started with four signs, one in each color, but we're up to eight signs (and three more for the future, which haven't been hung yet). 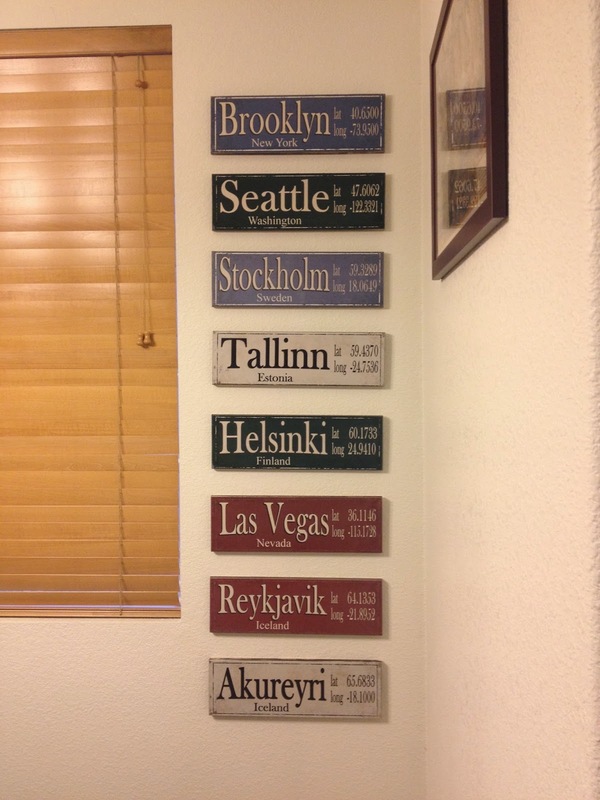 We're hanging them in order of our travels; I think the next round of signs will have to be hung on the adjacent wall, where we currently hang a print of Ortelius' 1603 map of Iceland. 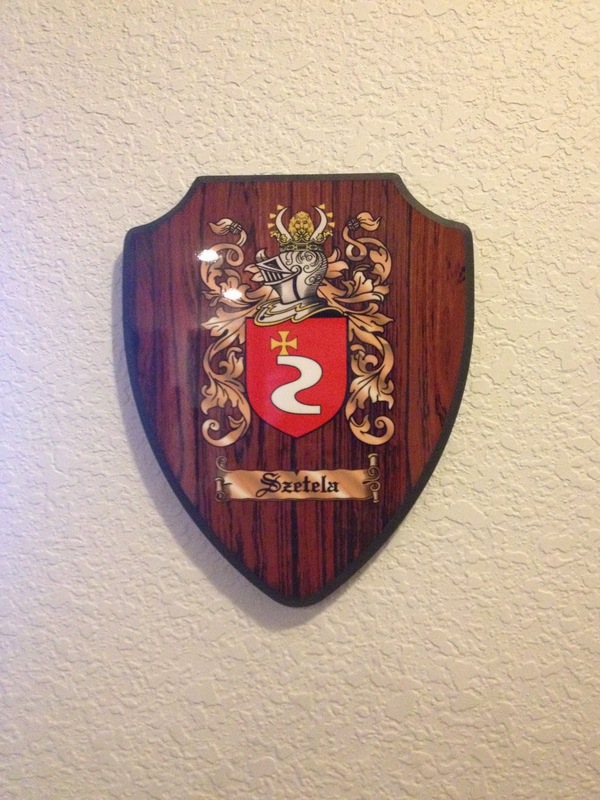 We also hung the Szetela crest that I had ordered. This is, apparently, the official Szetela crest.